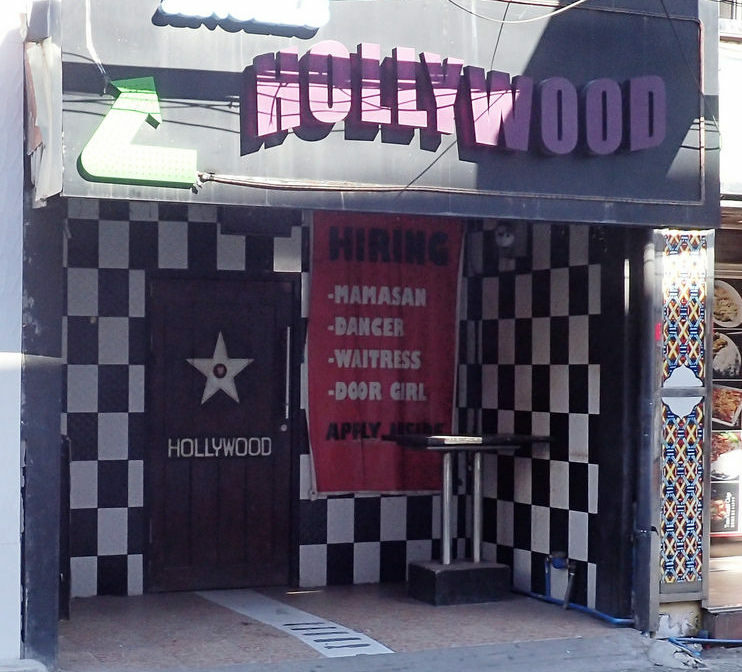 Hollywood is a small naughty bar located down the McDonalds end of Fields opposite the Walkabout Hotel. The bar is often missed by those bar hopping up and down Walking Street or heading to High Society but it is definitely worth a visit. The bar has a good mix of girls with a few 8's in the mix. Many of the girls want to get off work early so interaction is almost guaranteed. The girls are over friendly and very playful. This is one bar you do not need to force a conversation. With a number of good looking Angeles City Bar Girls, Hollywood is always worth spending a few pesos while bar hopping on Walking Street. This bar can really go off so give it a try.